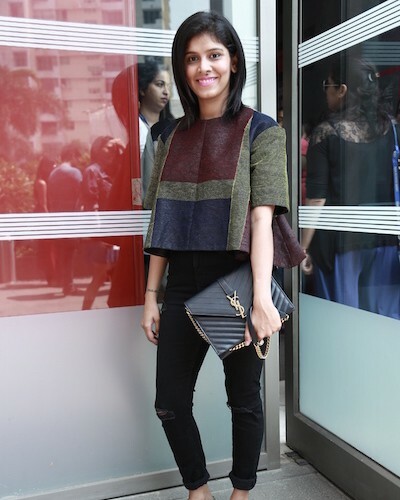 Shruti Thacker wore an interesting mix of prints on Day 3 of Lakme Fashion Week. She is on our street style list, because we love the way she has combined her colour block oversized crop top with those funky printed loafers. Her YSL bag takes the cake! *drool* For more street style from POPxo, check out our fabulous Instagram feed!